SLP Spring Fever Blog Hop! 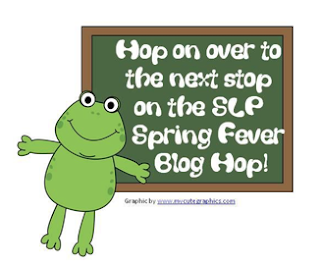 Welcome to the SLP Spring Fever Blog Hop! You will get the chance to win prizes and get freebies by touring 12 fantastic blogs! Opposites, Prepositions, Game Board and more! You must decode a secret message. In order to complete this task, you will need to visit each of the 12 blogs and download a freebie. The freebie will contain a word that is part of the code. 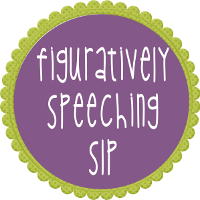 When you enter the contest through Giveaway Tools on Figuratively Speeching SLP's blog, you will be asked to type in the secret code. 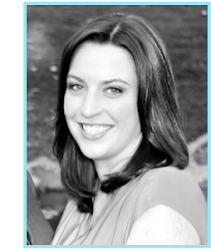 Have fun and enjoy blog hopping with us! The contest will run from Sunday, March 17, 2013 through Saturday, March 23, 2013. 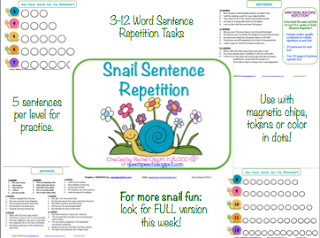 Sentence Repetition Tasks are a great skills to practice! 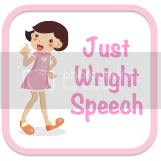 Sentence repetition skills are closely tied to expressive language abilities. Full version of this activity will be out this week! Check back soon! 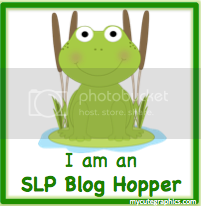 To hop on over to the next blog click on the frog! 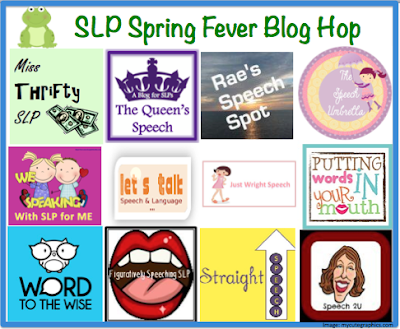 Enjoy reading through the blogs, downloading the freebies, and participating in our Blog Hop! Good luck everyone!